We are all under the attack of our enemy Satan. But we need not be defeated. We can have victory if we resist him in Jesus’ name. Here are three points of truth that I pray will encourage you as you resist Satan’s attacks. 1. We have authority in Christ over Satan (We are enthroned with Christ, Eph. 2:6). 2. Satan is a defeated enemy. Satan knows it (Rev. 12:12), and the demons know it (Matt. 8:29). My thanks to Dwight Pentecost. I have two of his books, but he has written many. I saw him once at a conference. You owe it to yourself to look him up on Google. 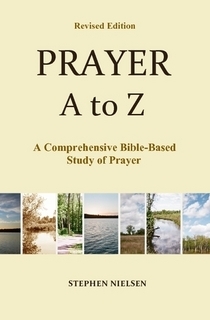 This entry was posted in Prayer A to Z Excerpts, Vigilance in Prayer, Prayer Warfare and tagged J. Dwight Pentecost, prayer, Resisting Satan, Satan, sin, spiritual warfare. Bookmark the permalink. Great reminders! Our triumph over the enemy is all about Christ. He has overcome the world and we can overcome the enemy with Him working in and through us. Be blessed today and bless someone else! Thanks for stopping by and reading my blog. Blessings to you too.